The Goethe-Institut is proud to support a regional tour by the German musical phenomenon MEUTE in partnership with the Bushfire and Zakifo Festivals – proud members of the Igoda Southern African Music Festival Circuit. MEUTE is a ground-breaking brass ensemble that combines hypnotic driving techno and expressive brass band music, freeing electronic music from the DJ desk and overhauling the image of marching bands. After only two years on the scene, the eleven musicians in their iconic red jackets are selling out their own club shows and have managed to spread their love for hand-made electronic music all over Europe as one of the continent’s most booked festival bands. The videos of their impromptu street gigs regularly attract millions of views. The MEUTE tour of Southern Africa will include concerts in Johannesburg, the Bushfire Festival in Eswatini, and the Zakifo Festival in Durban. 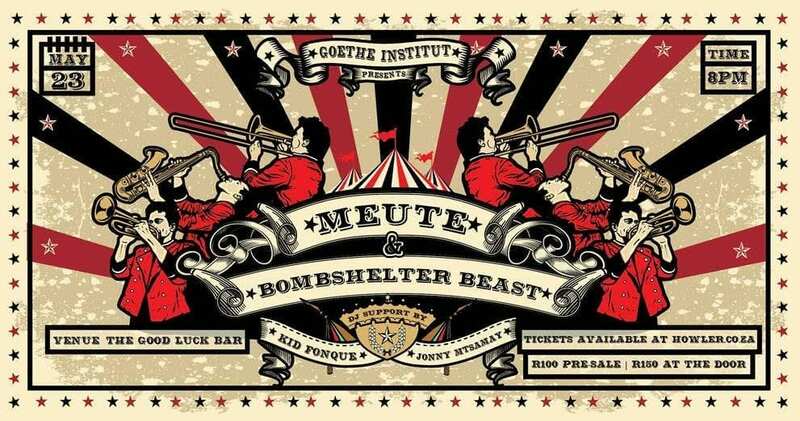 On the evening of 23 May, Johannesburg will be the first to experience MEUTE’s techno-brass at The Good Luck Bar. Joining them on stage will be local brass madness BOMBSHELTER BEAST, with their unique fusion of genre-busting old school Kwaito & House, Drum ‘n Bass, Dancehall, Dub, Ska, Balkan, Boeremusiek, Hip Hop, Ghoema, Rock, and the odd sneaky bit of Jazz – all peppered with badass rapping & live improvisations. 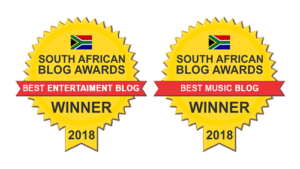 The Beasts have continuously brought together lovers of music from different backgrounds across South Africa and every time they get on stage, their energetic performances rock the crowds no matter where they perform. Tickets for the show are available from howler.co.za (https://bit.ly/2OONAKe) for R100 and at the door for R150. MEUTE will then continue their tour, playing at the ZAKIFO festival in Durban on 24 May and at BUSHFIRE festival in eSwatini on 25 May.